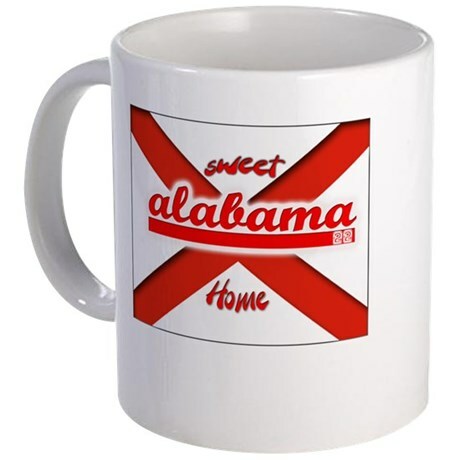 When we moved to Birmingham about nineteen years ago, I was told by a lifelong Alabamian to be proud about one thing. “What’s that?” I asked with my Yankee twang. With all due respect to our western neighbors, our time in central Alabama has been wonderful. It’s become sweet home. Birmingham is a city of beauty and charm. It has restaurants that are as good as you’ll find anywhere; I’ve even had crusty New Yorkers validate it. It’s surprisingly hilly, with a mountain range or three. We eat at Cracker Barrel, Miss Myra’s bbq and meat ‘n three’s. Milo’s sweet tea is a staple. Our forte is outdoor activities with more lakes than Ricki. Weekend hunting and fishing trips drive men to Bass Pro Shops and wives to outlet malls. Thousands upon thousands come from beyond the state and country borders every year to play golf on our Robert Trent Jones Trail. We will pound you into submission with respect. It’s “yes ma’am” and “yes sir” all day long. However, you never want your name to proceed the words “bless his heart” because whatever follows isn’t good. And most men actually stand up when a lady leaves or returns to a restaurant table. You might have heard we are also damn good at football. And we take it pretty seriously, too. You can’t win a national championship without some degree of separation from Alabama and Auburn. Lives have literally been lost in disputes over who’s better. But the best college football story of the season amongst the Georgia, Mississippi, Tennessee and Florida borders may not be Alabama or Auburn, but instead forgotten about UAB- the University of Alabama at Birmingham- which three years ago shut down its D-1 Conference USA football program only to be besieged by student, public and most importantly, donor demand, to reinstate it. UAB just finished their first season back with an incredible eight wins and a bowl game in the Bahamas, led by a gentlemanly head coach named Bill Clark. Mark down that name. You’ll hear it again soon on a main stage. However, the sport we are not particularly proficient at is politics. Well, good politics, if there is such a thing. We have enough former governors, legislators, mayors and lobbyists in jail for dipping into the till to field a prison softball team. We also have enough former politicians who have been shamed from office to provide a pretty deep bench. And the beat goes on. This past Thursday, three members of the municipal Birmingham water board were arrested for embezzlement. The only good news is one of the three is supposed to be a damn good third baseman. And a political scandal is exactly how Alabama has become the focus of the nation two days from now. 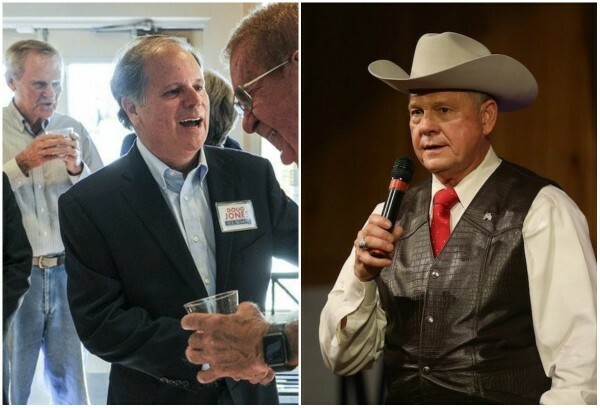 Roy Moore v. Doug Jones may not be Alabama v. Auburn to the locals but now that we’re in the football quiet period before bowl games, we can shift our focus for a couple of hours from the gridiron to hanging chads and appreciate a good political scrum. If Alabama Governor Robert Bentley wasn’t forced from office by an alleged sexual and financial impropriety scandal last spring, then Luther Strange is still the state’s junior senator appointed by Bentley when Jeff Sessions, in a moment of insanity, agreed to become Attorney General. Strange was handpicked by Bentley to finish Sessions term which runs through 2020. But Lt. Governor Kay Ivey, upon being handed the throne, said “bless Luther Strange’s heart” we’re gonna to have an election now and not wait three years. Ditch all the best laid plans and open the door for Judge Roy Moore, 70, twice disgraced and removed as Chief Justice of the state Supreme Court and twice defeated in primaries for the governor’s office. So here we are. We will elect someone on Tuesday for the final three years of ol’ Jeff’s term and then do it over again in ’20. By then ‘Bama should have two more national titles and Sessions will be back home, most likely as a candidate for his old seat. And this election is flat out ugly. Not as ugly as what Georgia did to Auburn a week ago in the SEC championship game, but ugly enough. With all the Moore-Jones back and forth rhetoric nobody knows what’s true and what’s not. There’s so much noise. Too much. There’s also so much meaning in this election and for all the wrong reasons. This is no longer an election about principal; instead, it’s for head-count, either 52-48 or 51-49, in a 100-seat theater. Moore (r), with everything to loose, refused to debate. I’m not a conspiracy theorist by nature but I do find it interesting that the sexual and stalking allegations against Moore came out after he beat Strange in the Republican run-off in late September. The Democrats knew that a controversial Moore would be easier for their candidate to beat than Strange. The Democrats also haven’t won a national election in Alabama since Bear Bryant was eating strained peas. So if there was any opening in the Senate door for the Dems they figured it would be against Moore and not the appointed incumbent. There wasn’t a word printed about Moore’s alleged philandering until after he beat Strange. Yes, I do find it ‘strange’ indeed. The numbers just don’t work for Doug Jones, 63, a former U.S. Attorney, who seems to be a nice enough bloke if not a little too vanilla. There are 3.3 million registered voters in Alabama, most of whom will find something else to do on Tuesday rather than wear that nifty little ‘I Voted’ sticker. Turnout is expected to be low and that favors Moore. Over half the registered voters, 52%, have declared themselves as Republicans. There are 35% registered as Dems and the remainder consider themselves independent and can be influenced. Those loyal to the Moore ultra-conservative plank will leave their guns and reels in the truck for a few minutes while they vote for their favorite cowboy hat. I don’t expect many Republicans to cross; instead, those not prone to Moore will just sit it out. Jones needs to get everyone of the 850,000 African-American votes, which represents over half the registered Democrats in the state, but overall they don’t seem motivated by this spat. Sixty-percent of African Americans informally polled last week didn’t even know there was a Senate election upcoming; very bad news for Jones. The only one that could effectively mobilize the black vote is Mr. Obama, but that would be a terrible waste of his political capital in a contest that I don’t believe can be won even with his support. If Jones was to somehow eek out a win, it would be short lived anyway as the Republicans with a non-tainted, viable candidate, if there is one, would take the seat back in three years. The numbers are all in their favor. I too will vote on Tuesday but I won’t vote for Roy Moore and it has nothing to do with the predatory allegations of the past month or the fact he hasn’t read Big League Dream, nor does he realize it has been discounted for holiday gifting at bigleaguedream.com. It does have everything to do with his past record and antics. Jones needs his 100-1 lead in lawn signs to convert into votes on Tuesday. I don’t think I’ll vote for Doug Jones either, despite the fact we both live in the same community of Mountain Brook, but I’m not sure. Mountain Brook, a provincial community of 25,000, known as the ‘tiny kingdom’ and typically Republican, has Jones lawn signs all over it, but nobody thinks he can really win. Jones and I aren’t totally aligned philosophically, but I really won’t know if he gets my vote until I have my ballot in hand. Maybe I’ll write-in someone. Maybe Luther Strange, maybe Jeff Sessions or most likely Nick Saban, only to keep him in-state and away from the New York Giants. My handicapping skills are terrible. I once had a bookie tell me to stop betting because my selections were so bad. Nonetheless, I make the over/under on Roy Moore at 52.5% of the vote. I don’t think he gets the 62% Trump received in November, but I think he wins fairly comfortably. Alabama. The state that gave you Talladega Nights, Gomer Pyle, Forrest Gump and coming soon, Senator Roy Moore and his silly cowboy hat. Alabama. It’s sweet home. And it ain’t Mississippi. Great read!! Miss you at Club Pilates! It is what it probably is. The craziest candidates in Alabama usually win. Many of them, alas, won’t make it through their first term. How good are each of these guys at baseball?